A REPORT just released by the United Nations, UN, on Nigeria’s Common Country Analysis, CCA, has revealed a deeply divided society on the basis of the plurality of ethnic, religious and regional identities that had tended to define the country’s political existence. The report also painted a gloomy picture, with most of the development and social indices in the country registering at levels unacceptable. The report, which was read during a consultative meeting on the formulation of the UN Development Assistance Framework IV (UNDAF IV) for the South East geo-political zone in Awka observed that for decades, different segments of Nigeria’s population had, at different times, expressed feelings of marginalization, of being short –changed, dominated, oppressed, threatened, or even targeted for elimination. The report read in part: “Nigeria, with a population of over 75 million, is the most populous nation in Africa and the seventh most populous in the world. Her population will be approximately 200 million by 2019 and over 400 million by 2050, becoming one of the top five populous countries in the world. “Nigeria is one of the poorest and most unequal countries in the world, with over 80 million or 64% of her population living below poverty line. The situation has not changed over the decades, but is increasing. Poverty and hunger have remained high in rural areas, remote communities and among female –headed households and these cut across the six geo-political zones, with prevalence ranging from approximately 46.9 percent in the South West to 74.3 percent in North West and North East. “In Nigeria, 37% of children under five years old were stunted, 18 percent wasted, 29% underweight and overall, only 10% of children aged 6-23 months are fed appropriately based on recommended infant and young children feeding practices. This in turn leads to unpredictable weather, drought and floods. The implication of destruction of the environment includes reduced agricultural productivity, destruction of property and loss of lives. “Nigeria faces humanitarian and emergency crises of considerable proportions fueled by a combination of factors including climate change, inter-communal conflicts and violence, insurgency, recurring floods, heavy handed tactics of security forces in combating crime and insurgency. The overall consequence is the situation of systematic and chronic internal displacement that has given rise to different humanitarian crises that include the most egregious and dehumanizing human rights abuses. “Over 80 million Nigerians live in poverty and are affected in one way or the other by the current humanitarian crisis. Available reports indicate that there are over 3.3 million Internally Displaced Persons, IDPs, which is Africa’s largest, ranking behind Syria and Columbia on a global scale. “The major challenges Nigeria is currently facing that constrain her economic growth and social development are lack of good governance, general increased insecurity across geo-political zones in North East, Niger Delta and Lake Chad region in particular. The situation is exacerbated by the existence of systematic accountability challenges, limited capacities of independent institutions/ commissions and limited accountability at the federal, states and local government levels. “Nigeria is a deeply divided society considering the plurality of ethnic, religious and regional identities that define her political existence. 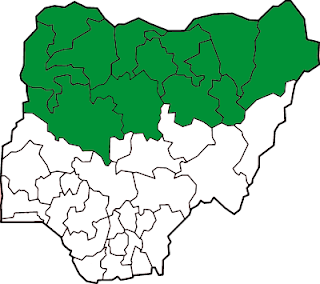 Since independence in 1960, Nigeria has struggled to build and sustain national integration. For decades, different segments of Nigeria’s population had, at different times, expressed feelings of marginalization, of being short-changed, dominated, oppressed, threatened, or even targeted for elimination.” The report recommended that transforming and diversifying Nigeria’s development paths needed a radical and new approach, especially by investing in people and in a strong more dynamic and inclusive productive informal sector.